A Pokémon Direct has just been announced by Nintendo and we’re now wondering what the company has in store for us. It is quite surprising that Nintendo is going to show something off right before the crucial E3 presentation. This makes us be sure that the announcement is a mainline Pokémon Game. After all, if it was something less significant it would probably just be included as part of the main E3 presentation or in the Direct from a month ago. If this is a mainline Pokémon Game, the announcement on this day would make sure that all eyes this week are on Nintendo and Pokémon. This would also avoid Pokémon stealing the thunder from any other game Nintendo has planned to show off during their E3 presentation. So now that you know that we fully believe that a new mainline Pokémon game will be announced, let’s list up all the predictions and our reasonings for them, starting with the least satisfying to the most satisfying outcome. GameFreak has done it before and they will probably do it again. A third version to the game that updates its story would be interesting and could freshen up the game somewhat. 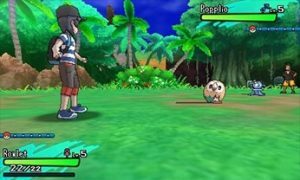 However, Sun and Moon are still very fresh in most people’s minds and they might even consider skipping it, since very few new things will be added. After Hoenn has been confirmed(tm) for over 3 years now, it’s high time for Sinnoh to get an updated treatment. With those games being over 10 years old now, a fresh update could provide something very interesting to the players. However, we believe this to be quite unlikely, as Nintendo has only done one generation of remakes per Hardware generation and only after a new original mainline Pokémon game has released on it. With the remakes of Red and Green now already being older than the Diamond and Pearl remakes, it would also be awesome to see a fresh take on Kanto with 3D graphics. Especially since the Pokémon movie of this year features a return to the franchise’s roots, so could the Pokémon games of this year. This has been done before in Black 2 and White 2 and expanded upon the fantastic story of Black and White. Just like with the third version, GameFreak could sove Top-Dollar by reusing the world and its assets to make an entirely new game with an original storyline. 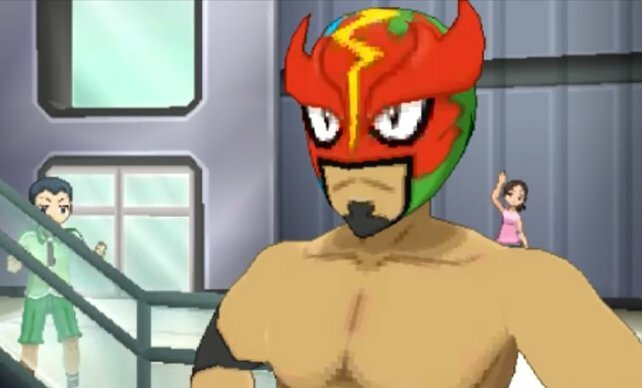 With the Ultra Beasts still posing a threat to the world and many questions left unanswered like the identity of Mask Royale, we believe a direct sequel would be a great idea. Now this would be something completely unprecedented in the Pokémon Franchise, a sequel to the beloved original titles. Looking at how interconnected the story of Kanto and Alola were, it would be a pretty interesting idea to revisit Kanto after the events of Sun and Moon. An original story in a familiar location would warm the hearts of many players worldwide. Exploring Kanto with Z-moves, Mega Evolutions and over 800 available Pokémon could make those games something very special. A kameo or feature of Lillie and her own adventures would make these games feel so connected to players of the original games and of Sun and Moon. With the success of the Nintendo Switch, it is only a matter of time until Pokémon games will appear on the system. However, the 3DS is still going strong and the New Nintendo 2DS XL has just been announced. We believe a 3DS version of the game is guaranteed and the next game should definitely release on that system. However a dual release with a version for the Nintendo Switch would make the hype so much better. Finally, we would get a console-level Pokémon game, which many of us have desired for so long, while still being able to take it with you. Fantastic visuals and a high quality game would make any of the earlier mentioned titles an instant-buy for us. We hope you liked our predictions (hard to call them that having so many of them 😉 ), even if they only appeared shortly before the direct. If you have any predictions or wishes for the Pokémon franchise yourself, let us know in the comments below as we would love to hear them. 2 Comments on "Pokémon Direct June 6th – Our Predictions"
Nintendo, the kings of left field.